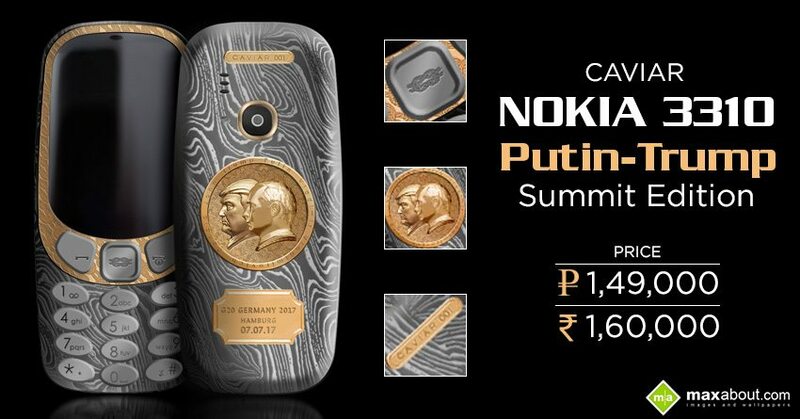 Caviar recently introduced Nokia 3310 Putin-Trump Edition for 1,49,000 Russian Rubles (INR 1.60 lakh approx). The Russian luxury brand has once again chosen Nokia 3310 as an ideal handset as they have worked on a Putin specific version of the same and got things perfectly working on that model. 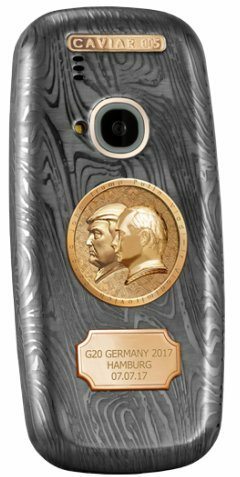 This one, however, is based on the historic meeting between Donald Trump and Vladimir Putin at G20 Summit in Germany. 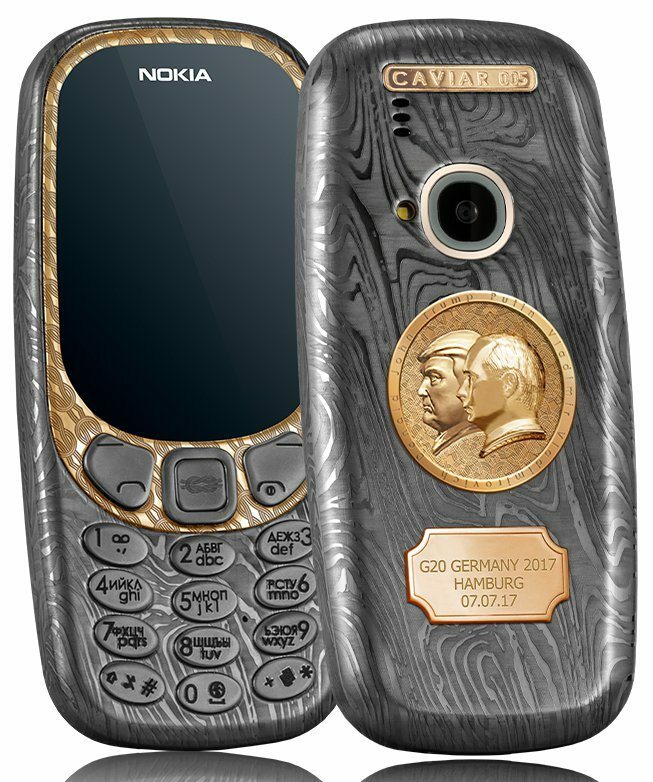 Nokia 3310 Putin-Trump Edition is made out of Titanium body and carries Damascus Steel pattern all around its body. The rear end supports gold plated portrait of both the presidents. Caviar has also engraved the date and venue for their meet on the lower end. The side by side placement of both the faces points at a common desire for progress in US-Russia relations. Every phone will have a unique number plated on its back. Nokia 3310 was launched after a long time and a warm welcome was given to the entry level phone by fans around the world. Nokia 3310 was even launched for INR 3310 in India, carrying interesting features like 2.4 inch color display, 2 MP rear camera with LED flash, Bluetooth 3.0, 32 GB expandable memory and just 79.6 grams of low weight. The standard version can be bought in Warm Red, Yellow, Matt Blue and Matt Grey shade.